Measuring in a 30″, this Be Square Motor Oil sign is red, white, and navy blue. The sign is circular and has a thick red boarder. 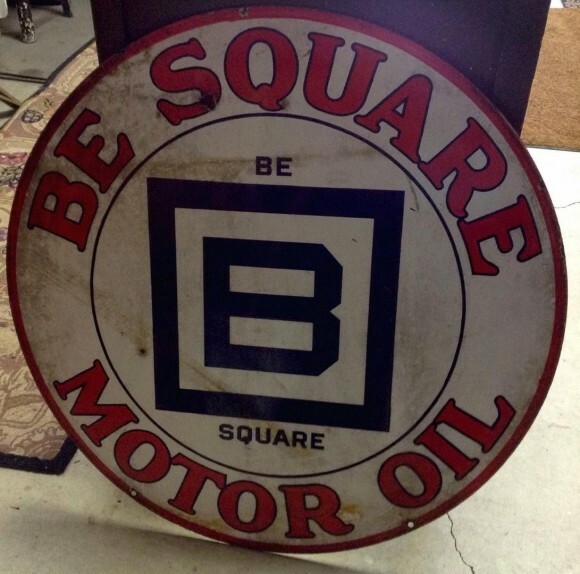 Inside the boarder is text that reads “Be Quare Motor Oil.” In the center of the sign is the letter “B” held within a square.